30! I beg to differ. I happen to like the 30’s, but really this could work for any age. 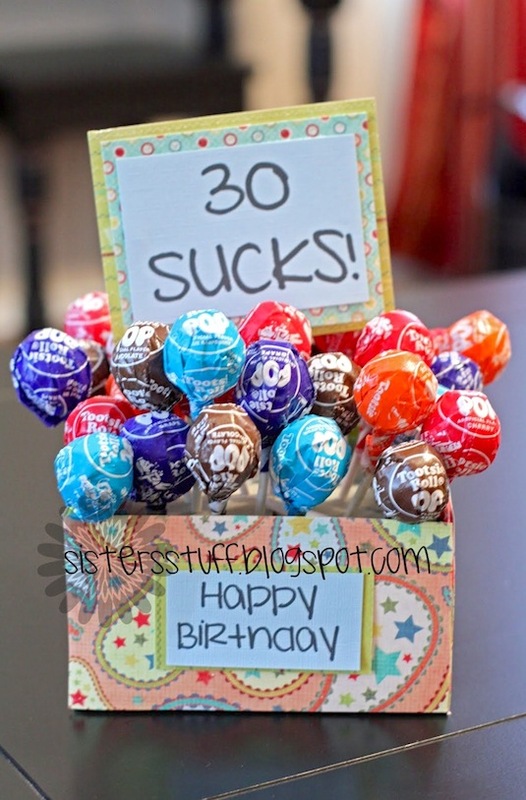 I think this is a fun and creative gift for a co-worker or sibling. You could also put the suckers in something that is usable like a coffee mug. I’ve never seen this technique before, but I like it! 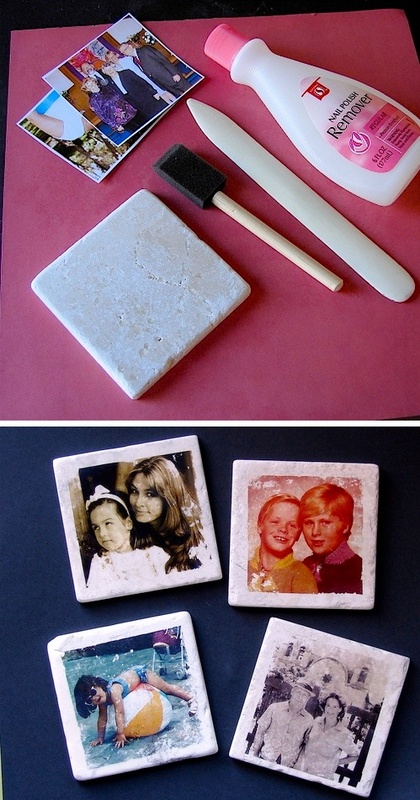 I’ve always got nail polish on hand, and I have those same tiles left over from our bathroom renovation. I like how the photos don’t transfer perfectly– It gives them more of a vintage look and feel. You will find the full tutorial for this project here.